Brown: When you are in a car wreck, this is the last place we want you to end up. Moore: We want you to be at home getting better. Brown: While we fight to get you paid for your medical bills, your lost wages and your pain and suffering. Moore: If the insurance company don’t cooperate, we will meet them here at the courtroom. Brown: We work hard to get you all the money you deserve. Moore: Often more money than the insurance company will tell you about. 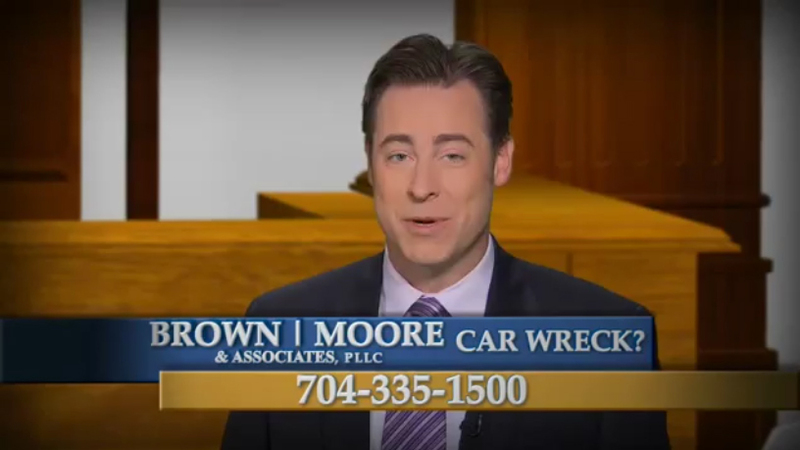 Brown: Got in a car wreck? Get help. Moore: Call us, Attorneys Brown and Moore. We want you to stay at home. Brown: While we take care of everything else.